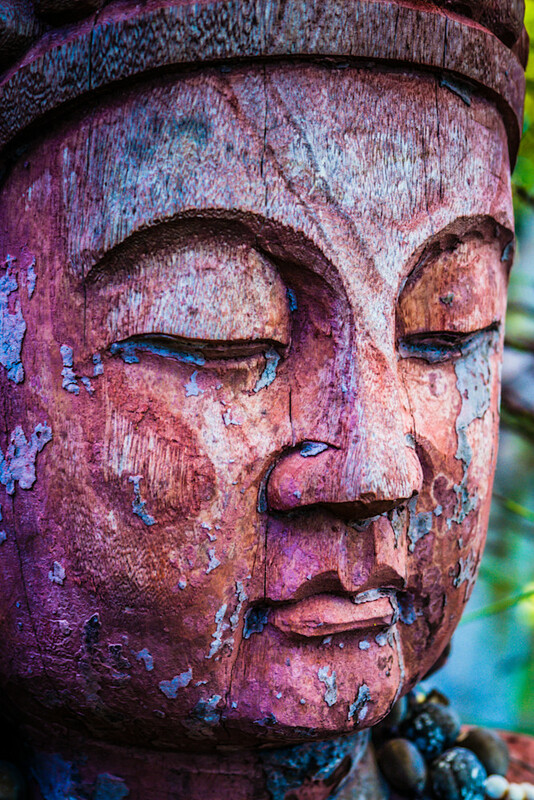 While I'm not a Buddhist, I do appreciate the reverence and serenity I see on the faces of the Buddha's I photograph. I've noticed that lots of people who are not Buddhist have Buddha statues in their gardens. I've noticed that when I see them, they bring me a sense of peace and understanding. And what in the world could be wrong with that?